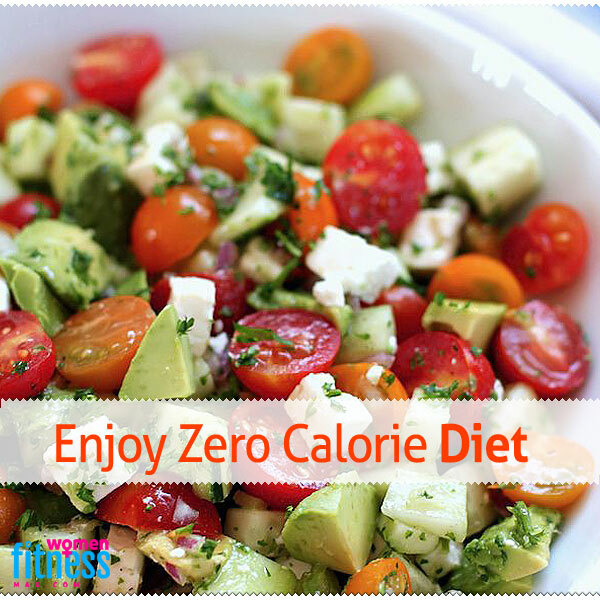 Enjoy Zero Calorie Diet : We all are aware that we gain extra weight with excess calorie. Sometime, we use some stuff having more calorie but that stuff takes less calorie to get digested and hence leaving behind some calorie in our bodies. To make a balanced diet, we may prefer or zero calorie diet from time to time. Do you know?water is a Zero calorie nutrient, a full cup of tea is also zero in caloric content. But, since they are beverages, they can’t take the place of solid food. There are foods that call for extra calories when being digested. So, in effect, they become zero-calorie foods. We may keep in mind that they have this negative calorie effect only when they are consumed without extras like fats or sugar. Further, if we consume a generous wedge of Mocca Gateaux at a five-star buffet, it has around 400 calories. To digest this, our body requires only about 150 calories. So, about 250 calories are added to our body fat! On the other hand, if we munch on a stick of celery it has only five calories. Our body may require 150 calories to digest it, resulting in a net loss of 145 calories. This doesn’t mean that the more you consume such foods, the more weight you lose. Anything in excess is harmful. We need to have balanced diet. Meat and eggs don’t fall under zero-calorie food. We must select those foods which involve a lot of chewing as your body burns more calories than are consumed while chewing, digesting, metabolising and eliminating. So, we should prefer a celery stick, rather than a celery soup. Similarly, we should opt for whole fruits rather than fruit juices. Fruits and vegetables that are high on moisture and fibre. It’s a well-established fact that the extra bulk from fibre helps us feel fuller longer, staving off hunger pangs and helping us lose weight. Fruits and vegetables taken raw provide essential fibre, moisture, vitamins and minerals to our daily diet. In fact, vitamins stimulate the tissues to produce enzymes that break down the caloric nutrients of the foods. We must prefer raw food, without any compartmentalization and food measures instead. All of us are products of nature and nurture. Nature remains the same, but nurturing has changed, which includes what we eat. We should take raw fruits and vegetables, after proper washing and dust removing, flavored with herbs and spice, add nuts, dried fruits and sprouts if you like, and you have a potent recipe, whenever hungry. Even those who prefer their meals cooked can make healthy adjustments. In your favorite sandwich, include lettuce leaves and thick tomato fillings. Start with a fruit bowl and salad spread before proceeding onto you main meal. Opt for fruits in your desserts. Before you know it, you may be hovering somewhere close to size zero! This way, you will enjoy not only your meals but can maintain your health too. How Can Something Have Zero Calories?